When it comes to protecting assets and creating estate liquidity, one of the most practical ways for high net worth individuals to do just that is by taking advantage of premium financing for life insurance. In fact, premium financing is an excellent, cost-effective option for securing a significant amount of coverage without requiring to tie up capital or liquidate assets. 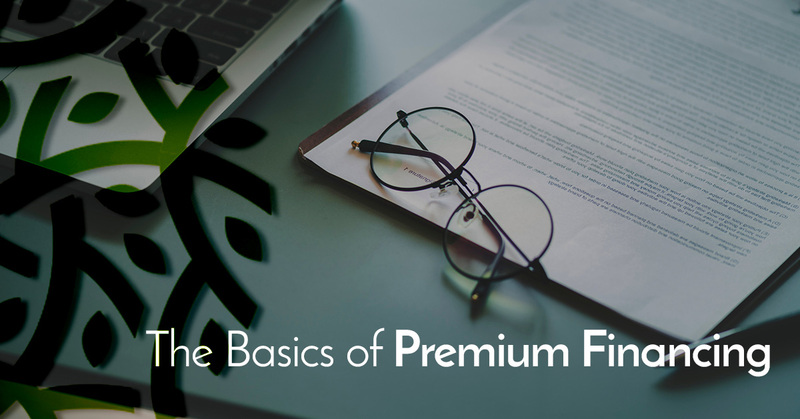 If you are unsure whether or not insurance premium financing is for you or not, hopefully, this article will help shed some light as we cover the basics of premium financing. Premium financing, at its most basic, is borrowing money to pay for large life insurance premiums. Generally, individuals with a high net worth and large companies utilize insurance premium financing to attain large amounts of life insurance with only a minimal, upfront expense. In short, it is used to absorb capital by only paying loan interest that pays premiums instead of paying the actual premiums. As mentioned, one of the purposes of premium financing is to avoid the need to liquidate assets to pay for costly life insurance premiums. Paying for these premiums increases the risk of paying capital gains tax or reducing your ROI on any remaining investments, which can result in your overall net worth diminishing. It is important to keep in mind that individual life insurance premiums are not tax deductible and the Internal Revenue Service (IRS) considers life insurance premiums to be a personal expense. In the most fundamental way, individuals use a premium financing loan to pay for life insurance premiums. Why Do People Use Insurance Premium Financing? Maximizes Returns. One of the biggest advantages of premium financing is the ability to acquire needed life insurance at a minimal upfront out-of-pocket expense. This potentially allows the policyholder to invest the money that would have been put towards paying premiums in vehicles that offer higher rates of return. Tax-deferred Growth. Premium financing can produce positive interest rate arbitrage if the after-tax growth in policy cash value and the growth of investments exceed the interest on the underlying loan. Little Impact On Cash Flow. Purchasing premium financing has little initial impact on current cash flow or without having to liquidate existing investments (thus avoiding taxable gain upon liquidation). If you are interested in learning more about premium financing, contact the experts at RSB Life. At our premium finance company, we embrace a realistic approach to life insurance, a bright financial future for your family, and the ability to use your assets in the meantime. Our experts carefully design and manage premium financing strategies that protect our clients while providing them with multiple benefits, including the ones reviewed above. We understand insurance premium strategies and how to implement and execute them for the best results. If you are ready to begin discussing premium financing and how you can start investing in your future, contact RSB Life today.